Hi there! 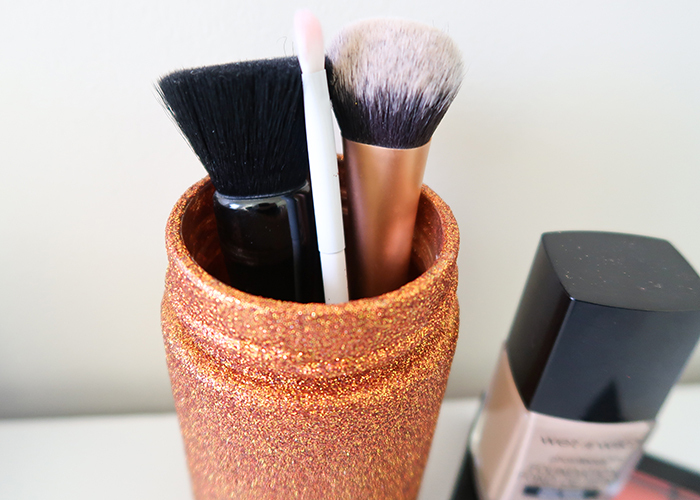 Today I’m going to teach you how to make this adorable DIY Glitter Makeup Brush Holder. 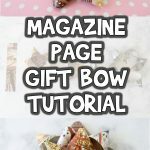 This is a great project for a tween girl, and is great for gifting too! Let’s get started. 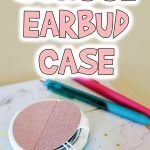 You might also like this easy DIY School Earbud Case craft project! Clean jar. Small sauce jars are great for this. 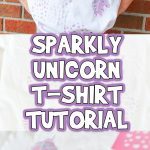 Acrylic paint in a similar color to your glitter. Gloss varnish or top coat. Start by making sure your jar is clean, dry, and free of any oils or fingerprints. 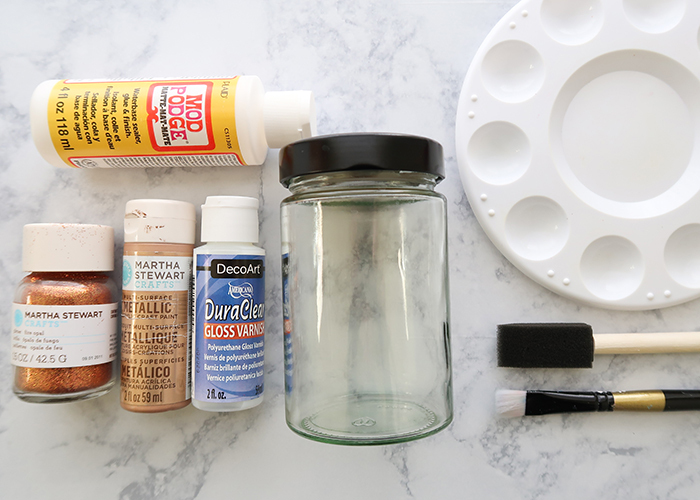 Then take your paint and paint the entire outside of your jar. One to two coats is enough, it doesn’t need to be opaque as we’re covering it with glitter. I recommend paining one half of the jar at a time so it’s easier to handle. Let it dry for an hour or two. 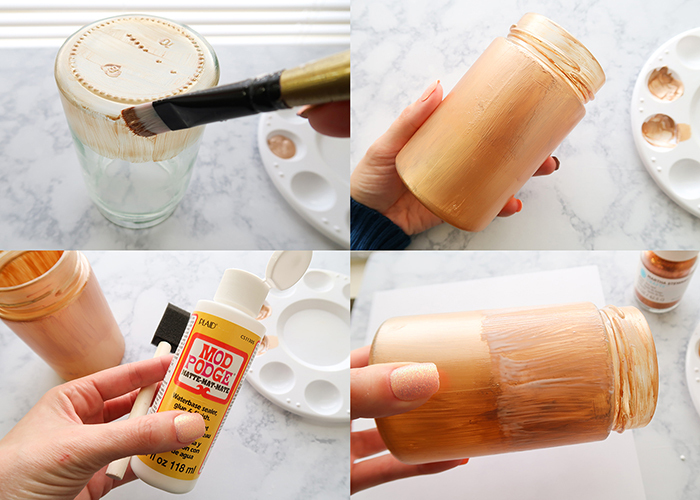 When it’s dry, grab your mod podge, and use a foam brush to paint a medium thick layer all the way around one half of your jar. 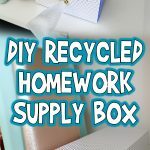 Grab a piece of loose paper to set under your jar while you’re glittering it. 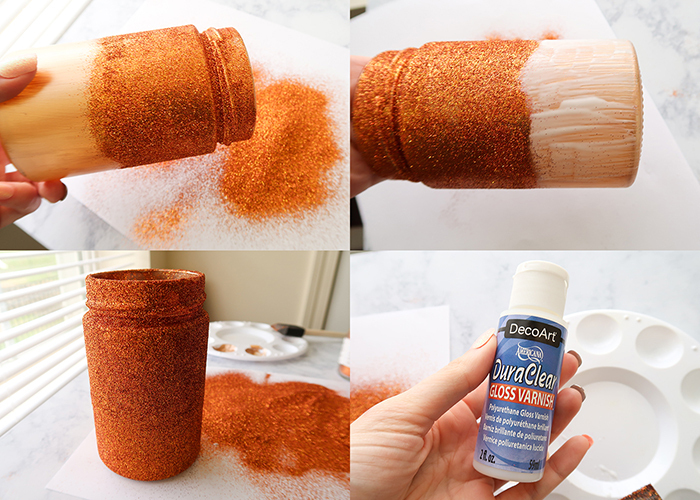 Now take your glitter and shake it all over the mod podged section of the jar. Make sure it’s well coated, and tap the excess glitter off gently. 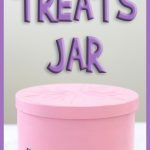 Let the top dry, and do the same thing with the bottom half of your jar. Don’t glitter the very bottom of it where it will sit on your table though! Now make sure there are no bare spots, and let it dry for about an hour. 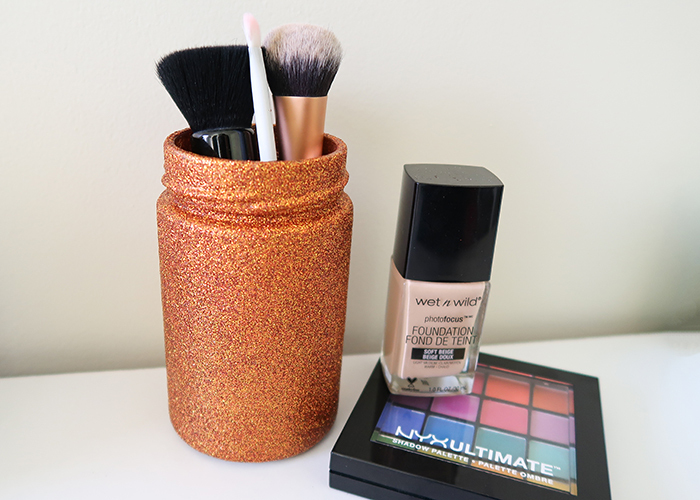 Shake or gently brush off any excess glitter, and then grab your topcoat. I like using a gentle fan brush for this. I gently coat the entire jar in the gloss varnish. 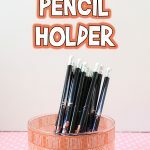 It still has plenty of sparkle, but this keeps the glitter from shedding everywhere! Let it dry overnight so all the layers have time to cure. 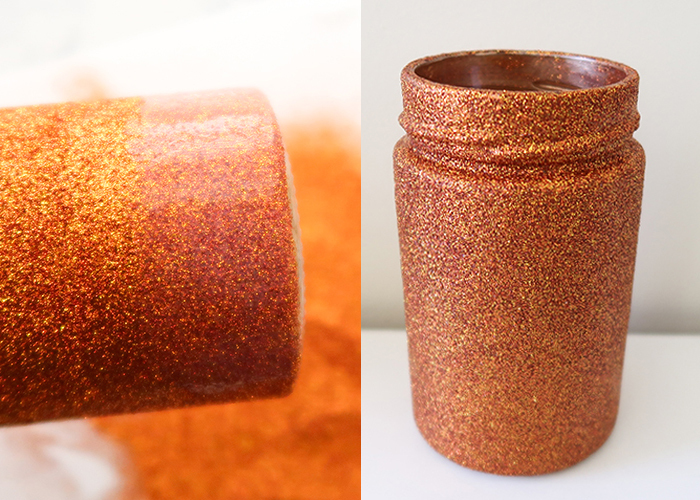 You can use a hairdryer, a brush, or even rinse your jar off to remove any excess glitter from the inside. Now just add some brushes. And you’re all done! 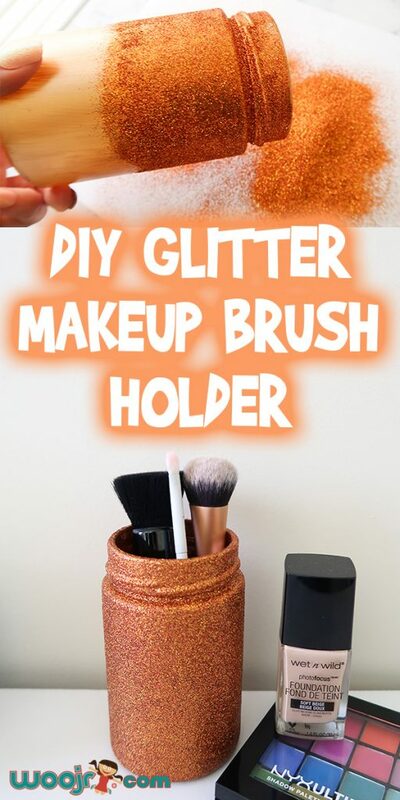 I hope you have fun making this DIY Glitter Makeup Brush Holder!